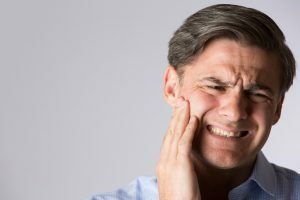 Abnormal function of the TMJ, also known as TMD (temporomandibular joint disorder), can cause all-day discomfort and can cause negative impact on a person’s ability to talk and chew as well as dental complications. The temporomandibular joint (TMJ) is the part of the jaw that allows the mouth to open and close. 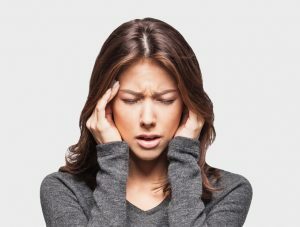 Some people do not even realize they’re suffering from TMJ disorders until they begin to note the side effects caused by the condition. By aligning the jaws in a proper relationship, the joint can function naturally. Otherwise, the joint must compromise to accommodate biting or chewing. Over time, this leads to complications like stiffness of the joint, with pain radiating into the rest of the head. 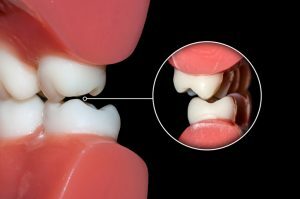 Our bite splint method helps position the jaw in a correct location, allowing proper rest to occur. It also guides the jaw so that it will begin functioning properly. 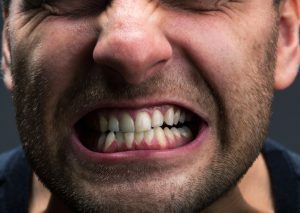 Chronic bruxism will cause advanced tooth wear, sharp tooth edges, and damage to dental treatments. Most people tend to clench or grind when they are stressed, typically during the night. 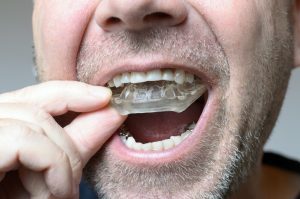 After a bite analysis, we may suggest that some patients have a mouthguard to wear when they sleep. This guard will prevent the teeth from wearing against one another, as well as reduce the strain to the TMJ.